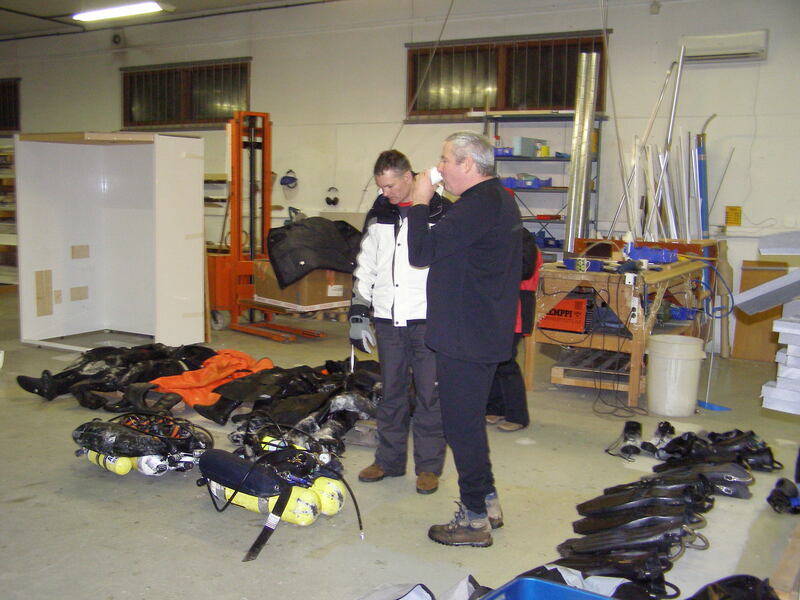 Any life support equipment needs extra TLC in cold conditions and keeping kit working can be a real challenge in extreme conditions. Whilst regulators and rebreathers are top of my list for extra care, buoyancy devices suffer from many of the same problems. Even equipment which in most environments is ancillary, such as a dive lights, suffers in the cold. The long and the short of it is that most of your equipment will function better and last longer if you apply similar maintenance and storage principles. The first rule is to ensure that your regulators are designed and tested to withstand the temperatures you are diving in. Simple robust designs seem to be the choice of the Nordic diver. The next thing is to keep them well serviced and maintained. A good service technician should be able to set your regulator to breathe easily but not freeflow. Get out of the mentality that regulators should be serviced once a year. If your regulators are not in tip top condition they should be serviced, even if it hasn’t been very long since your last one. In cold conditions o-rings and hoses become brittle, mis-shaped and need replacing more frequently. Check visible o-rings and ensure they are lubricated appropriately. Have spares handy and change yours before they have a problem. Our Finnish friends were shocked that most UK divers don’t change their o-rings from one service to the next! 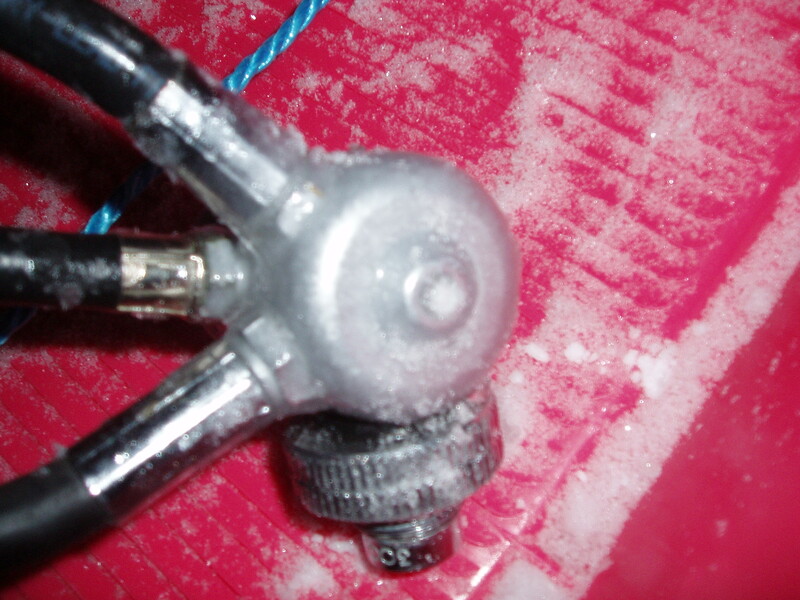 Wherever possible life support equipment should not be allowed to freeze on the surface. As we know freezing water expands and this can cause damage over time. Ice crystals in the first stage can be detrimental to function and longevity just like any other debris. If you can’t avoid freezing ensure that equipment is transported without stressing it (i.e. don’t fold frozen fabric or bend frozen hoses). It should be dried naturally, not over a heater, and thoroughly before storage. For those of you who dive in colder climes it will be second nature to avoid purging regulators out of the water but you may need to go further than this. If the air temperatures are extremely cold testing your regulators indoors or in a heated area is easier. If this is not possible, to avoid free flows, pressurize the cylinders and turn them straight off again. When you enter the water, (preferably shallow – if it can’t be shallow you must have fins on) ensure that you have adequate buoyancy. Once in the water (which is often many degrees warmer than the air) carefully turn your cylinders back on and do your pre dive checks there. 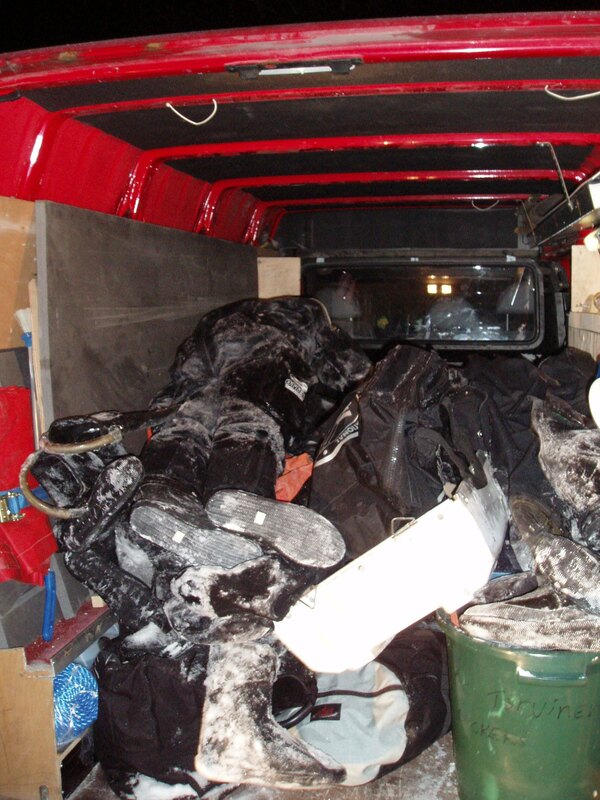 Storing dive equipment in a vehicle overnight in freezing temperatures between dives leads to a much higher likelihood of equipment failure. Even a garage may be too cold so make sure your equipment care and preparation is part of you plan! As with any diving, wherever an increased risk is involved your dive plan should be more conservative. Make sure you understand the risks and account for them. As with all changes in dive conditions and environment, seek training from the experts. If you want to learn more about looking after your equipment in these conditions talk to Instructors who work in areas where extreme cold is the norm. Taking an Ice Diving specialty makes a wonderful long weekend but make sure you choose an instructor who has plenty of experience of this type of diving and the associated extreme conditions.